We’re going back to the 80’s to celebrate 30 years of Wisconsin Women in Government at the Brink Lounge on November 11! It’s WWIG’s 30th year! 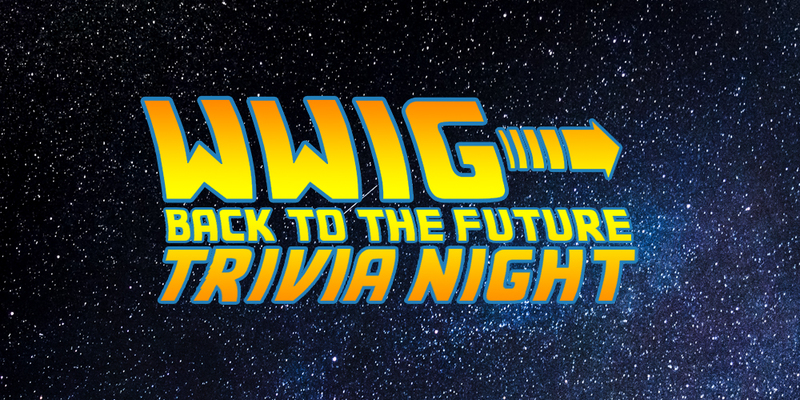 So we’re going “Back to the Future” with an 80’s themed trivia night to celebrate the decade of our inception! Assemble your teams and relax post election with Back to the Future Trivia Night! Help us raise funds for 2017’s WWIG undergraduate scholarships all while enjoying a fun night of trivia, prizes, and good food and drinks at The Brink Lounge. Sign up as a team or a single player! $30.00 for a single player. $150.00 to reserve a table for a team of 6. A Fundraiser for 2017 WWIG Scholarships.